The furniture in your home has been through a lot of wear and tear over the years. Food spills, beverage spills, skin flakes, and pet dander among other items can call your favorite couch home. While your furniture might look clean to the naked eye, this is not the case when you look under a microscope, unfortunately. What you will see is a landscape teeming with tiny organisms such as dust mites feeding on what is on your furniture. Don’t fret, dust mites are harmless but can cause an allergic reaction in people who are allergic to them. Our upholstery cleaning service will eliminate dust mites and other organic material while gently cleaning your upholstery using the power of steam. San Diego Carpet Repair & Cleaning technicians are trained and certified by the Institute of Inspection Cleaning and Restoration Certification (IICRC) to expertly clean microfiber, nylon, wool, and other types of upholstery materials. 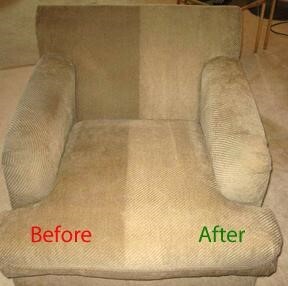 We can clean sofas, loveseats, recliners sectionals, dining room chairs and more! To protect your newly cleaned upholstery from stains, dirt, and other contaminants, we suggest using a fabric protectant. The product that we use is Scotchgard, and it will help protect your upholstery from spills and dirt between professionals cleanings. If you have kids or pets, we highly recommend this product. If you have questions about our upholstery cleaning service contact San Diego Carpet Repair & Cleaning today at 619-512-9661. As your locally owned and operated carpet cleaning company we understand the needs of our community and are ready to help you today with your carpet cleaning needs.